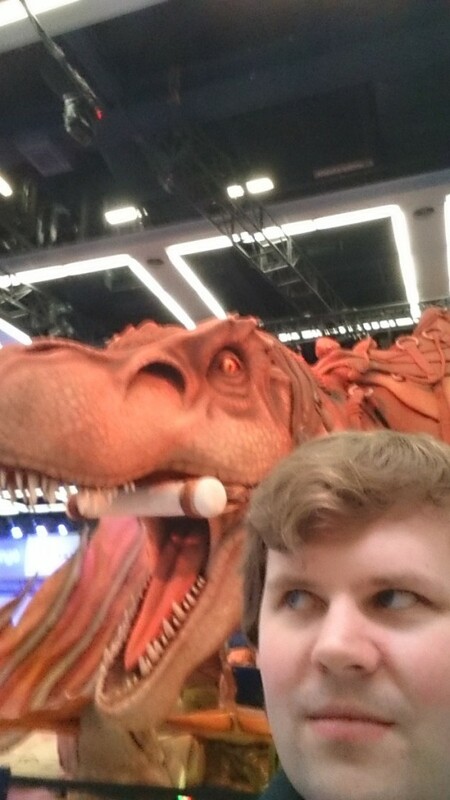 It’s been a while, but let’s look back at PAX West, our latest event. World to the West was there in its Wii U form, and it was quite a ride! Thomas Tyssoy, our programming wizard, traveled to Seattle and was in charge of everything, all on his own (kudos to him!). 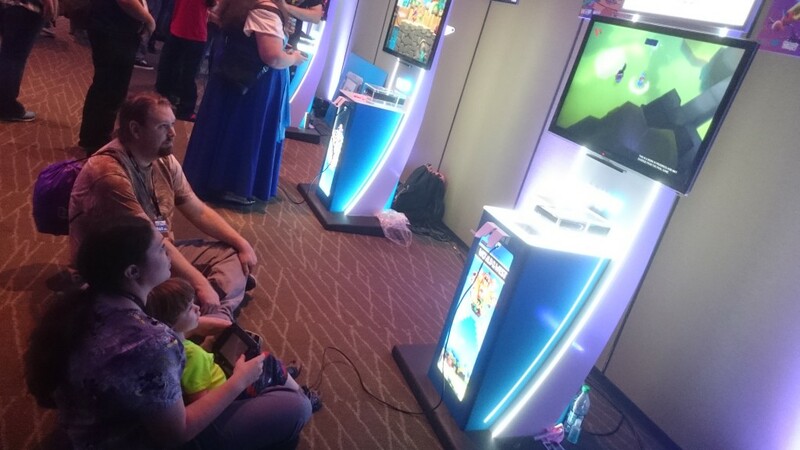 Prior to PAX, World to the West was shown at the EMP Museum as part of the Nindies@Night event, free and open to the public, on September 1. 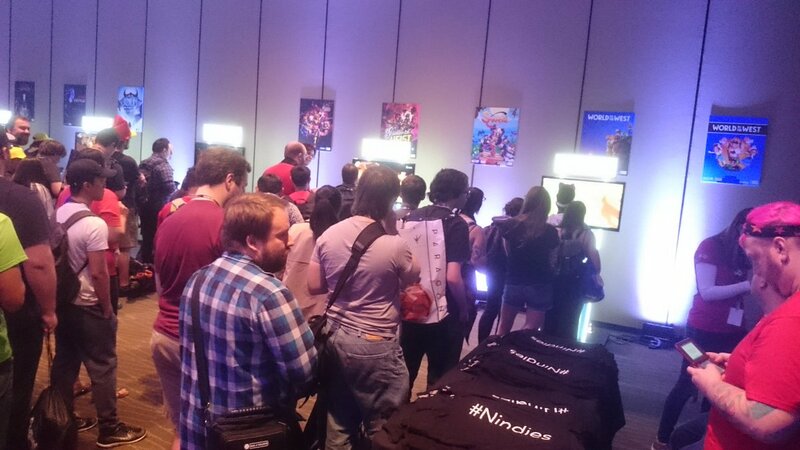 Many other great indie titles were present. An unique setting that made perfectly clear that video games are part of our modern culture. Yes, that was the line to play World to the West, all night! From one side of the room to the other. 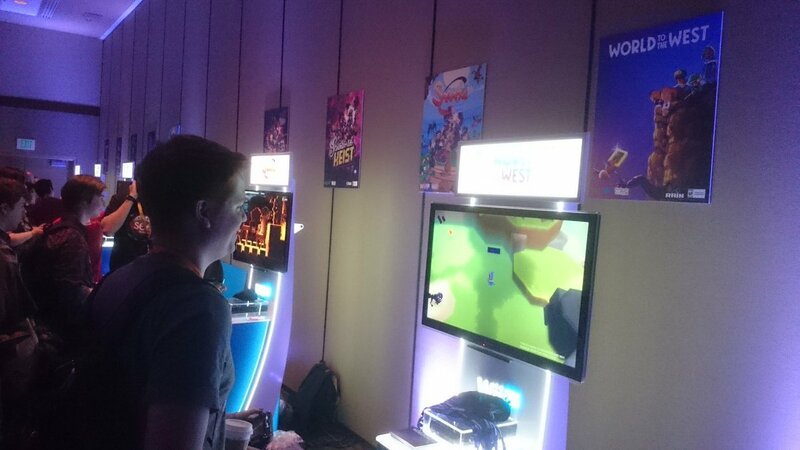 After this initial presentation, we were showcasing World to the West at the Indie Lounge, from September 2 to 5. Here you have a view of our stand before opening. …and after that, madness! 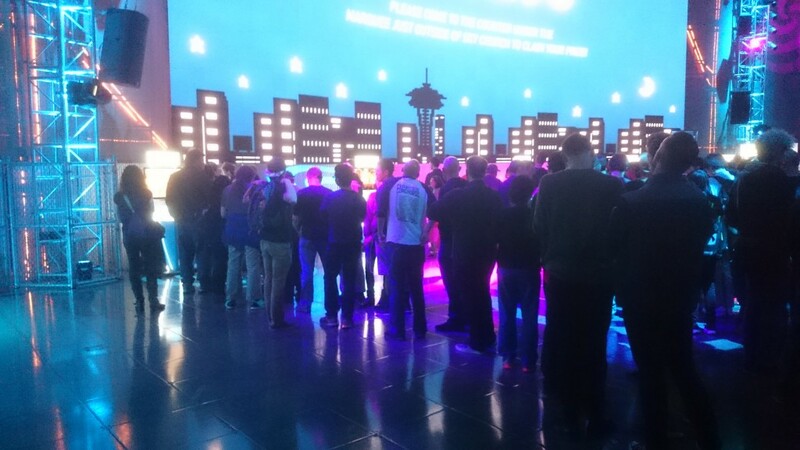 Hundreds of people waiting to play, constantly. There was a permanent line for 9 hours straight every day at PAX, and almost everyone stayed for as along as they were allowed in their turns. We got players from all ages, and even families playing together in a cute way. 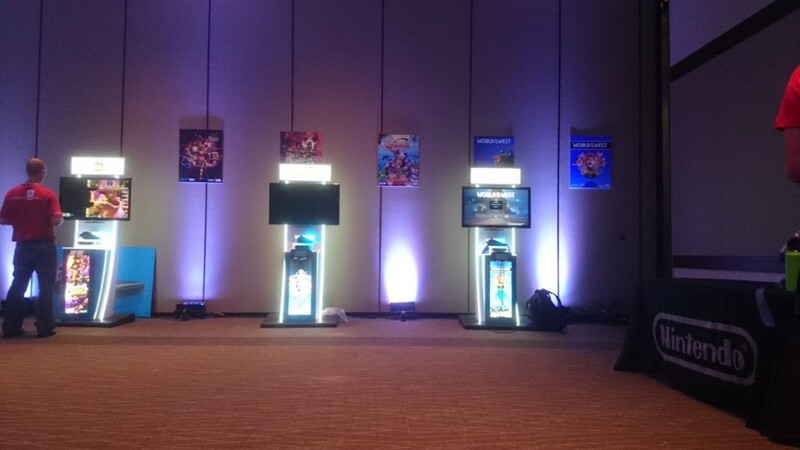 Once again, we can’t stress enough how grateful we are for Nintendo’s assistance, and the way they went the extra mile for us at this event, like they did at Gamescom. They printed buttons for us, rigged everything up and down, and even helped Thomas when he needed to take a break or go back to his hotel in a rainy day. So yes, this entire summer has been an adrenaline rush. We’re very excited for the warm response towards World to the West in these public showcases, and for all the feedback we’ve gathered thanks to people playing live. And, of course, we’re looking forward to what’s ahead of us in the road. This interview with our CEO, Peter Meldahl, will give you some hints. The best is yet to come! 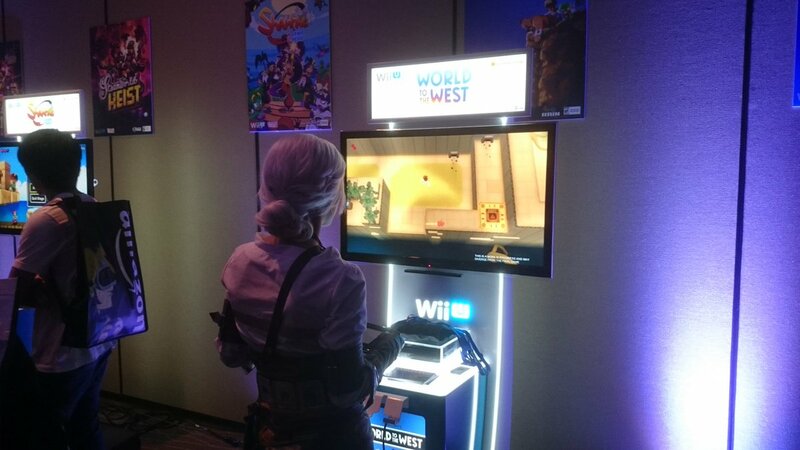 This entry was posted in Events and tagged Nindies@Night, PAX West, World to the West by Mariela González. Bookmark the permalink.